It has been ten years since the world financial market teetered on the verge of total collapse. The 2008 mortgage crisis had many causes and villains, but in the banking industry, there was only one that faced any actual prosecution. It was not Morgan Stanley. It was not Wells Fargo. It was not Bank of America. Instead, it was a small family-run bank with a total of six branches that specialized in working with the Chinese-American community, primarily in New York's Chinatown. 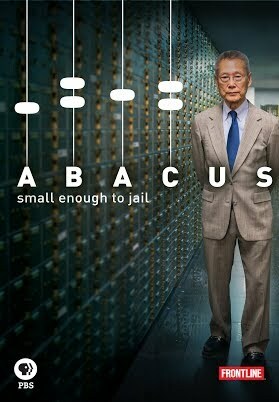 Abacus: Small Enough to Jail is a play on the idea that it was targeted because unlike the other major international corporations that were 'too big to fail', Abacus was easy pickings. It was small and from a community that was not seen as a threat politically. Abacus: Small Enough to Jail chronicles the Abacus trial, the effects it had on the family behind the bank, and on how Abacus Federal Savings Bank was almost made the scapegoat for a disaster not of their own making. Thomas Sung, a first-generation Chinese-American, saw a need for a bank to service his community. With that, he founded Abacus, using the legendary Chinese calculator as inspiration for the name. Over time, Abacus Federal Savings Bank grew to respectability and prestige, and three of his four daughters came aboard to help run AFSB. Only another daughter, Chanterelle, opted not to join the family business, but to become a lawyer and work for the New York County District Attorney. 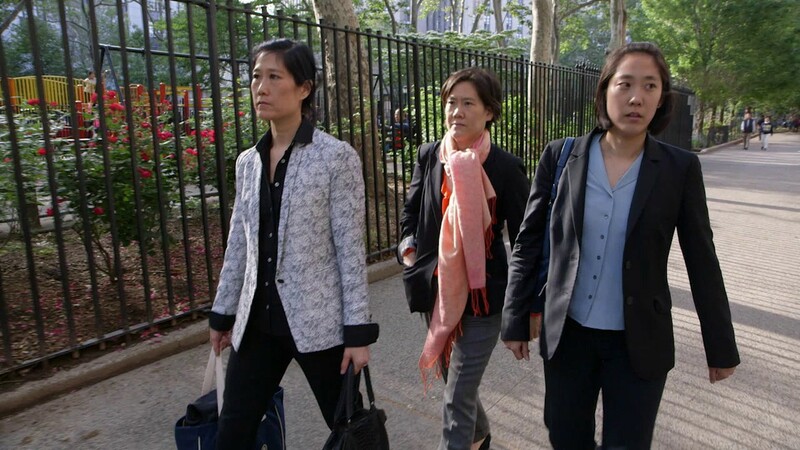 That same attorney, Cyrus Vance, Jr., would become the Sung Family nemesis. In December 2009, one of AFSB's employees, Qi Bin (Ken) Yu, was exposed as a thief and money launderer. Moreover, he was deceiving the bank about loans made. Yu was immediately fired and Jill Sung, one of AFSB's officers, reported the crime to the authorities. Despite fully cooperating with the police, and despite the bank itself being the one to expose and report the crime, the NYCDA believed the bank itself must have known about the fraud. Moreover, it was convinced the Sungs themselves were in cahoots with all the financial shenanigans. With that, began a five-year ordeal of investigations, accusations, and a 67-day trial. It was the second crisis the Abacus had faced, as in 2003 a previous employee had stolen money from the bank and caused a temporary panic among its depositors, who made a run on the bank until Mr. Sung went to meet them personally to calm them down. The long process drags itself out, as Abacus sees other, larger banks get off or pay a large fee. Vance is either deaf or disinterested in how his manner could possibly be seen as insensitive, such as when he has a group of ANSB employees paraded in front of the press chained together for the cameras. As one lawyer observed, this is something Vance would never have done if the accused had been black, the connotations being too explosive. The trial goes on, and it affects the Sungs, particularly the matriarch, Hwei Lin, who is displeased on how this affects her almost 80-year-old husband. At the end of the trial, the jurors appear deadlocked, with the majority voting not guilty. Finally, the jurors did come to a decision: not guilty on all charges. 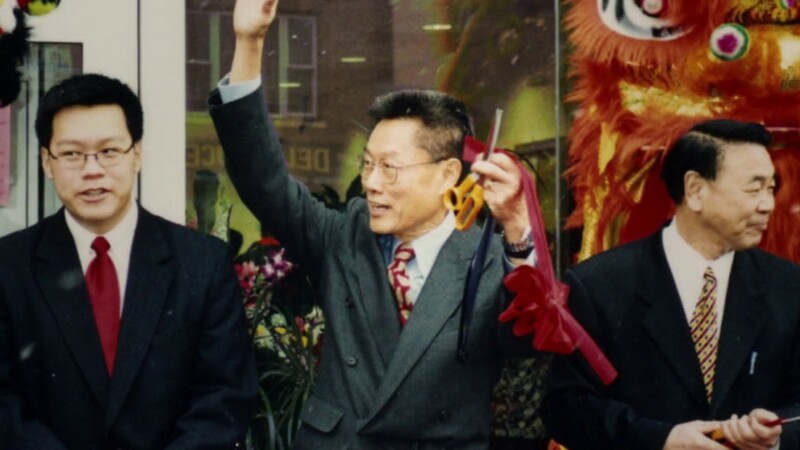 Thomas Sung celebrates, and a little spark of political activism among the Chinese-American community is lit, with many believing that Vance went after Abacus not just due to their relatively small status, but because few would care or mount much protest over the defendants being Asian. At times, you would not be faulted for thinking director Steve James went overboard in portraying the Sungs as being almost saint-like. We start the film with scenes from It's A Wonderful Life, and more than once is it either suggested or flat-out stated, mostly by Mr. Sung, that he is like George Bailey. That's all well-and-good that Mr. Sung sees himself as a George Bailey, or that James sees him likewise. It, however, does make one wonder if perhaps it is a bit over-the-top to have the family, with their loving but on occasion bickering and snappish temperaments, made out to be as endearing as the Baileys. At one point, the story of the 2003 run on Abacus is countered with a similar scene from It's A Wonderful Life and one thinks, 'you're going a bit too far here'. There were other elements that Abacus could have done better. A major question was on whether Jill Sung was going to testify at the trial. While we were in on the conference call, I don't remember we actually heard from Jill over her decision. That decision to not testify too had to be learned from inference more than from the actual film itself. However, a lot of Abacus was quite well-done. In particular was the coverage of the trial, done with voice-overs and court sketches. We also saw what the AFSB referred to as the prosecution's 'incompetence mixed with arrogance'. Vance, who was interviewed for Abacus, expresses no regret for the chaining up of the accused. Another D.A. says something to the effect that the Sungs were not exonerated in the trial, merely not found guilty, as petty and mean-spirited a remark that leaves the Sung attorneys pretty much in disbelief when they reply to it. I do not think Abacus makes as solid a case about how this particular bank was almost made the fall guy for the entire mortgage crisis meltdown, especially since it looked as if it was more focused on what one employee did than on the banking industry at large. However, as a legal thriller and a portrait of a family united in a time of crisis, it is a well-crafted film. Despite the film and the Sung's own comparisons, Abacus: Small Enough to Jail is no It's A Wonderful Life.